In this blog, we will see how to check if the full-text and semantic indexing components are installed or not using "SERVERPROPERTY". 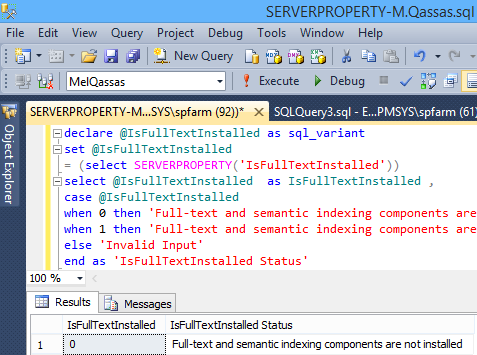 We use ISFULLTEXTINSTALLED property to check if the full-text and semantic indexing components are installed or not. Check if the full-text and semantic indexing components are installed or not, using PowerShell.